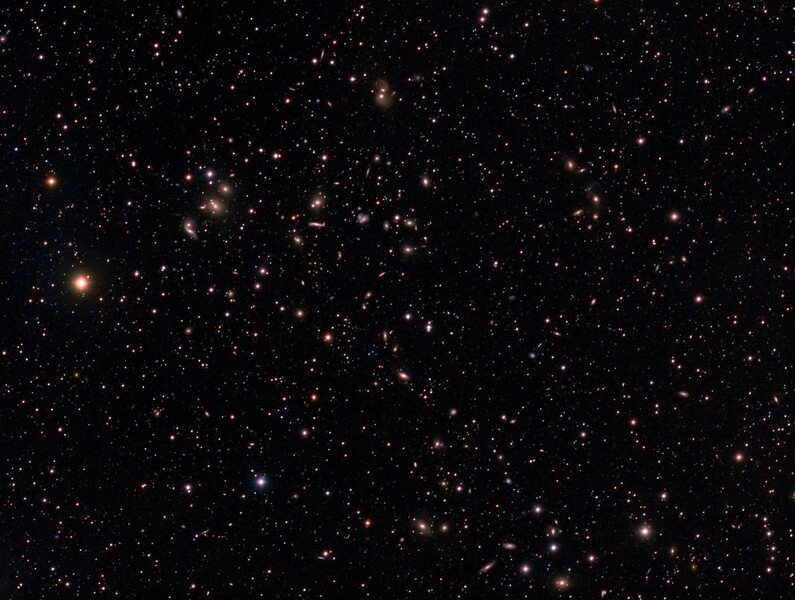 Abell 2151, The Hercules Galaxy Cluster...over 200 galaxies some 500 million light-years distant. Taken by Lynn Hilborn at WhistleStop Observatory, Grafton, Ontario May, 2012. TEC 140 @f5.6 and FLI ML8300 camera. Lum 1x1 13x10m, RGB each 2x2 12x5m.